My mate, Steve, gave me this recipe. It is called Easy Orange Cake and it’s not called that for nothing. You won’t get an easier cake to make. The recipe indicated the mixture could also be made into muffins. And since there is only Maus and me, I decided to go with muffins so I could freeze some, if necessary, but they are disappearing quickly so I don’t think there will be any to freeze. All you have to do for this recipe is put the ingredients into a food processor. If you only have a small food processor, chop your orange in it and then put the orange and the rest of the ingredients in a bowl and mix by hand. If you don’t have a food processor, don’t worry, just chop the orange as finely as you can. After Steve gave me the recipe, I searched for it on the web, trying for find a definitive source (I am like that). I think it may be a bit like the Chocolate Meringue Cake I made last week. This recipe is also all over the web and why not? It most certainly has mass appeal – it is dead easy to make and very tasty. I don’t know where I was when these recipes became popular. I seem to have missed every wave. One source indicated the recipe had been published in the Sydney Morning Herald. Some of the versions used orange icing and some a cream cheese frosting but all required a whole orange chopped in a food processor. This version has a syrup which is poured over the cake whilst it is still warm. The muffins taste very nice cold but were sensational just out of the oven. I have been giving the cold ones a 10 second zap in the microwave to warm them up so as to re-live that just-out-of-the-oven experience. Either line with baking paper or grease a 20cm round or ring cake tin or grease a 12 cup muffin pan*. Cut the orange, unpeeled, into quarters. Remove the pips. Put orange into a food processor and process until well chopped. Add the melted butter, sugar and eggs and process until well combined. Add the flour and pulse a couple of times until mixed in. Put the batter into the prepared tin or muffin pan. Bake for 40 minutes**, if making a cake, or about 20 minutes if making muffins. *If using paper baking cups, the recipe will make 13. Don’t try to squeeze them into 12 because they will overflow – I know. 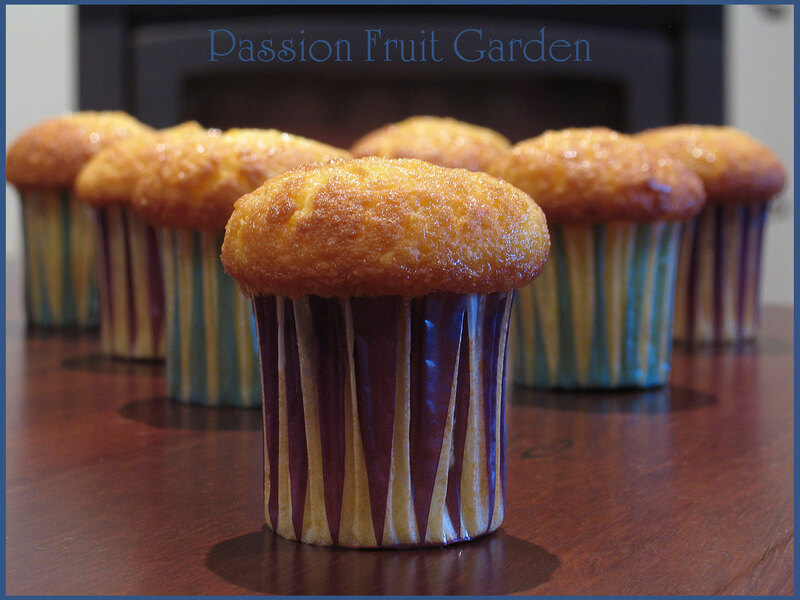 If using Ikea cups (as in the photos), the recipe will make 12 small muffins and 2 normal sized ones. Put the orange juice and sugar in a saucepan and heat gently until the sugar has melted. Pour the syrup over the hot cake or muffins. It was a bit tricky with the small muffins as the syrup kept dripping over the side. I decided to skewer each muffin a few times to encourage the syrup to sink in. Postscript: After I had made these muffins and had written the above, I began to wonder how the recipe would go with a lemon rather than an orange. I am a big fan of lemon-flavoured everything. And … they go very well indeed. I have just made another batch, this time using a big lemonade lemon and they are sensational. I am sure the recipe would also work with a Meyer lemon. I am not so sure about an Eureka lemon. It may be a bit tart but if that is what you have, I would certainly give it a go. This time, I also boiled the topping a little longer and it didn’t drip over the sides as much. This entry was posted in Cakes, Eating your bounty, Lemons, Muffins and friands, Oranges, Sweet Things and tagged Easy lemon cake, Easy lemon muffins, Easy orange cake, Easy orange muffins, Whole lemon cake, Whole orange cake by Glenda. Bookmark the permalink. Hi Glenda, I made these today (yes, I bought some ikea cases!) and I’d be interested to know where you fill to. I wasn’t game to overfill as you had warned, but I think they could have taken a bit more as I haven’t got that nice muffin top. I also determined that if give them I slight squeeze or press while pouring in the syrup it creates a little fissure and it just oozes in nicely. Cheers, Maree. Hi Maree great tip re the fissure. I dunno how much I filled them. The first time I made this recipe I used in the Ikea papers and they had beautiful muffin tops. The extra ones I made in cup cake baking cups over-flowed. The next two times I made them in cup cake baking cups they over-flowed. So it is a bit tricky. I would go with 2/3s full. What did you do? Glenda these look scrumptious and I love the perfect muffin top… looks a bit like my waist line 🙂 Love those Ikea muffin liners and I still have lots of them. Hi Moya, As you know it is all your doing that I have those muffin cases. Haven’t made the biscuits yet. We just came back to Perth. They are high on my list. I will let you know what I think of the fennel. John, the basement is much too far away. You are very hard on yourself. John, I love spiders, is that why I am so fat? My sort of simple recipe. I need an alternative to my raspberry loaf cake (eating raspberries every day is becoming a bit of a bore 😉 so this is just what I need. Gorgeous! This is my kinda cupcake/muffin/cake. Hi Liz, as I get older, it is my type of recipe too – easy. What little beauties, Glenda. Peter and I have been following the ‘Eat, Fast, Live Longer’ eating pattern for a few years now i.e. we eat between 500 and 600 calories on two days of the week and today is one of those days. But – tomorrow – is not:). Blood oranges and Seville oranges are also in season at the moment. I’m thinking the blood orange would be nice to try, the Seville orange might prove a bit lip puckering. 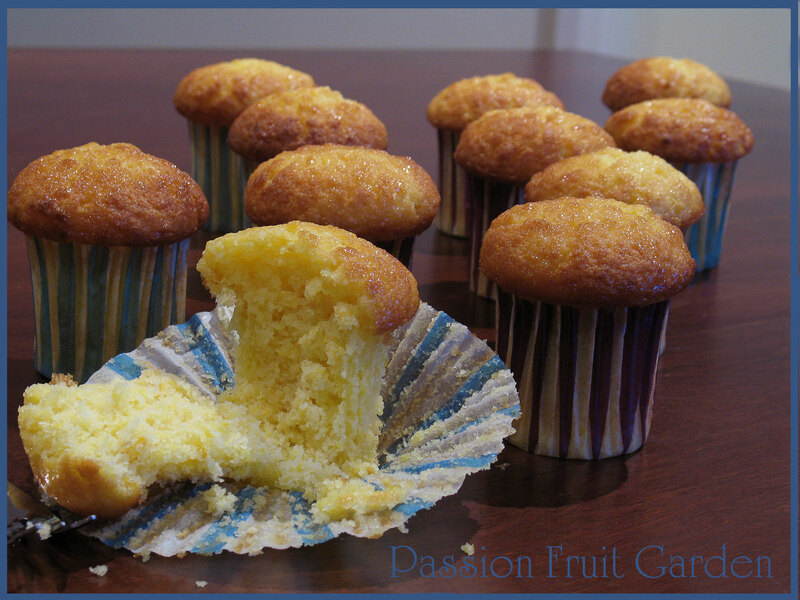 I love all things lemon too and I do like those little muffin cases – they look like mini celebrations – an Eat day celebration. Hi Maree, There were no prunes in any of the recipes I checked out. Those muffin cups are gorgeous. They were worth suffering Ikea. God, I’ve been to Ikea so many times and never seen them. I used to have panic attacks in there but I’ve mastered the brute. I’ll look closely for these next time I venture in there. Great recipe, Glenda. Was looking for one like this that did’t use ground almonds. Thanks! I am still amazed it works, Debi. It is amazing how good some of these simple recipes are. Oh dear Mandy, not the dreaded weight gain! !